The 5th Annual Trans Pride celebration is the first official event of Pride Weekend. On July 13, from 1:00-6:00 pm, in Balboa Park at 6th and El Prado, you can be part of the fun. The event is free and family friendly. Trans folks, friends, and allies are encouraged to attend. You are welcome to bring a picnic lunch. There will be entertainment, food, and games. At 5:00 pm, there will be a march to the Hillcrest Pride Flag to join the Spirit of Stonewall Rally and Awards. Resource tables are available for businesses/organizations that serve the trans community, as well as businesses or organizations owned by trans folks. 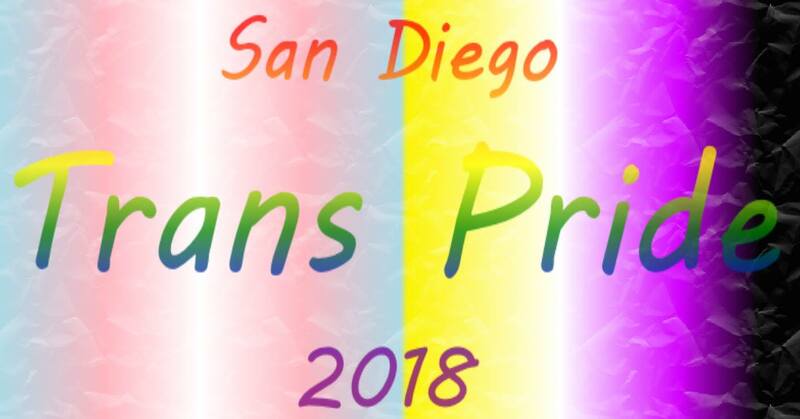 To complete an application, go to www.facebook.com/SDTransPride. It is due by June 30. If you would like to volunteer or need more information, contact Kathie Moehlig: Kathie@transfamilysos.org or 858-382-9156.